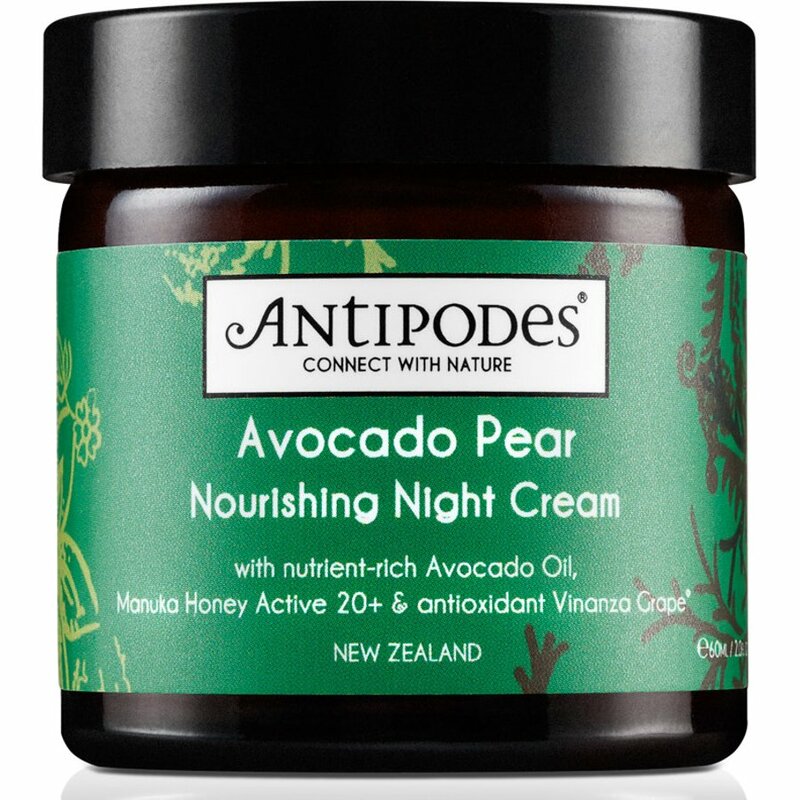 A nourishing night cream for resurrecting skin overnight with a restorative base of 100% pure avocado oil, scientifically proven to stimulate collagen production. Contains calendula oil that soothes, heals and repairs, manuka honey that has natural antibacterial and hydrating properties, and antioxidant Vinanza Grape that helps neutralise free radical damage. A skin quenching treat with the pure plant fragrance of ylang ylang and sandalwood. Antipodes love nature. 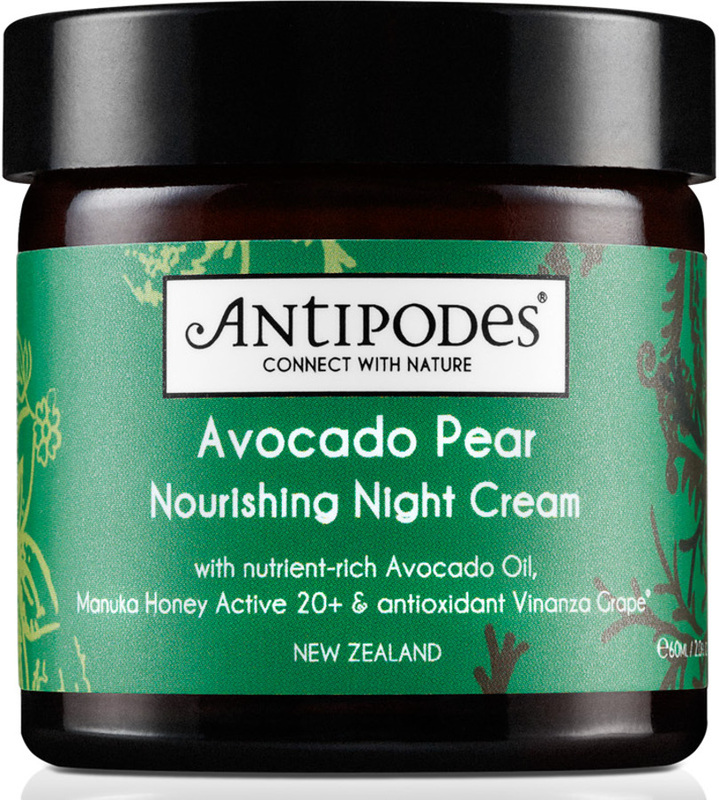 The Antipodes organic skincare range captures the essence of New Zealand’s most nourishing and powerful botanicals to create products that are clinically and scientifically shown to help promote youthful skin. The natural beauty range includes several products that are dermatologically approved for sensitive skin. Much of the range is certified organic by AsureQuality Ltd, an independent government body and the leading provider of biosecurity and food safety services in the southern hemisphere. Products are always 98-100% natural and made with Antipodes commitment to the natural environment.